emphasis on individual student achievement leading to ensemble excellence. Mr.
Pacific Basin Music Festival in Honolulu, HI. Reedley College in 2008 and 2009. Arts degree in sculpture, from Fresno State. Beyond his duties as a visual instructor, Matthew is the Director of Bands at Fresno High School. 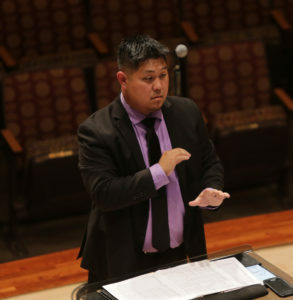 He is in charge of several ensembles including Marching Band, Symphonic Band, Jazz Band, Percussion Ensemble, Winter Percussion, Winterguard/Colorguard, and several chamber ensembles. In addition to these ensembles, he has worked with the orchestra director to have a full symphonic orchestra. Matthew is also a freelance drill writer. He has written drill for Kingsburg High School, Independence High School, McLane High, Mission Oak High, Sierra Pacific High, and Sunnyside High School. Matthew is also a Brass Instructor with the Blue Devils "B" Drum and Bugle Corps, where in he as helped instruct the corps to 3 Open Class Championships and 2 High Brass Performance titles. Matthew graduated from California State University, Fresno, with a Bachelors of Arts in Music Education. While at CSU, Fresno, he studied French Horn with Dr. Thomas Hiebert, Jennie Bloomster, Dr. James Winter, and A. David Krehbiel. Also while at CSU, Fresno, Matthew was a member of the Wind Ensemble, Symphonic Band, Symphony Orchestra, Marching Band, Basketball Band, British Brass Band, Horn Ensemble, and Jazz Ensemble "B". Matthew was also an instrument repair technician and the Performing Arts Technician for the music department during his time at CSU, Fresno. Matthew has performed with several local ensembles such as the Clovis Community Band, Kingsburg Summer Concert Band, Tule Brass Band, the Fresno City College Concert Band at Carnegie Hall, and the Milestones Community Jazz Band. Matthew also marched with the Blue Devils "B" and Yamato Drum and Bugle corps. Jacob Donabedian graduated from Kingsburg High School in 2011. Soon after, he attended College of the Sequoias in Visalia to receive his AA in music composition. He participated in the COS Jazz Band, Wind Ensemble, and Youth Orchestra. He is now currently attending Fresno State to achieve his BA in Music Education. 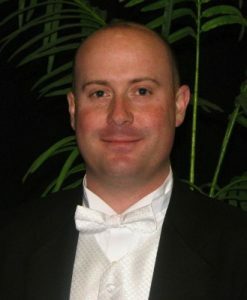 He has been in both the Fresno State Wind Ensemble and the Fresno State Symphony Orchestra. He is now on his way to completing his senior recital in Spring 2017. Tommy Stevens graduated from Kingsburg High School with the class of 2013. He then went on to Fresno State were he participated in the Bulldog Marching Band for 2 seasons. Using the knowledge he gained from that experience and through private lessons with many instructors, he auditioned for the Concord Blue Devils B Drum & Bugle Corp. Where he marched 2 seasons as a Blue Devil in 2014 and 2015. Finally ending his marching career with an indoor percussion ensemble based out of Tulare, CA named Valley Independent Percussion in 2016. Jessica Dutra is the KHS Colorguard Caption Head. 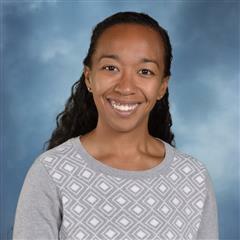 The 2016-17 school year will mark her fourth year working with the colorguard. Jessica has been in colorguard since she was in middle school and continued to participate in the activity throughout her college years at Fresno State. She graduated from Fresno State and is now an elementary school teacher in Hanford. Alma Mittie has been an instructor with the KHS Color Guard for the past 15 years. Alma was in color guard at KHS during her high school years and has continued to be a part of the program since then. She currently works full time for Bank of America as a Relationship Manager and has been with them for the past 8 years.